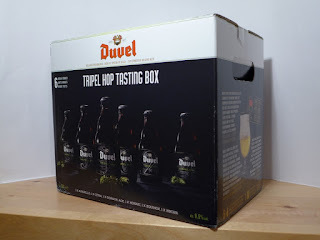 I'd normally explain what each beer in the pack is and what the bottle label says about it but in this case the only difference on the label is the number on the front. I can tell you that they are brewed to the recipes used over the past few years for the Tripel Hop specials. 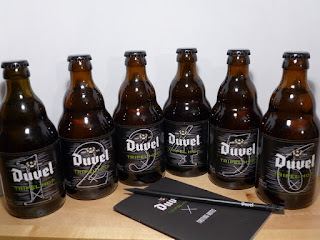 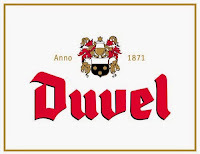 Each one is regular Duvel brewed with an additional hop, these are: Amarillo, Citra, Sorachi Ace, Mosaic, Equninox & HBC291. Look out for 'baron ratings' of these beers soon, and a big thank you to Emanuele from R&R Teamwork for sending these through to me!